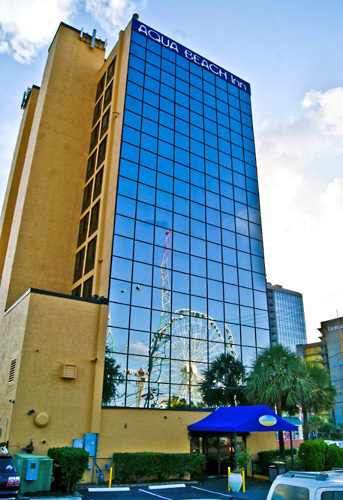 Featuring contemporary accommodations just minutes from the 14th Avenue Pier, the Myrtle Beach Boardwalk and Promenade, and the SkyWheel Myrtle Beach attraction, Aqua Beach Inn offers casual guest rooms with kitchens, flat-screen TVs, balconies and more. Amenities include on-site grills, a picnic area, an outdoor heated pool and a whirlpool spa, and a laundry facility. All units have kitchens and 32-inch flat screen TVs. Picnic area with BBQ grills. 1.7 miles from Broadway at the Beach. 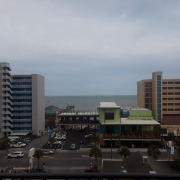 Within walking distance of Boardwalk and SkyWheel. 5 miles from the Myrtle Beach International Airport. Guests must be 25 years of age to check-in. 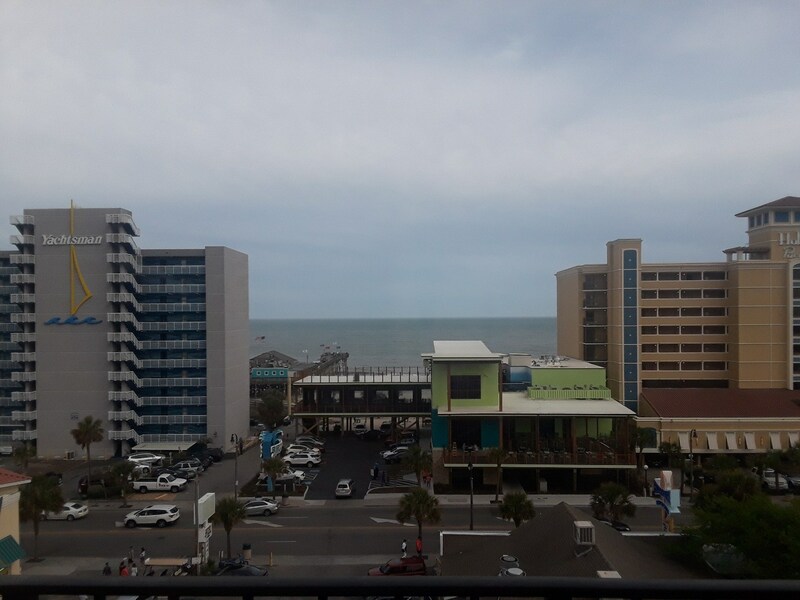 Nestled in Myrtle Beach and featuring lovely views of the Atlantic Ocean, this Inn is located across from the 14th Ave Pier and the Myrtle Beach Boardwalk and is only 5 miles from the Myrtle Beach International Airport , MYR. 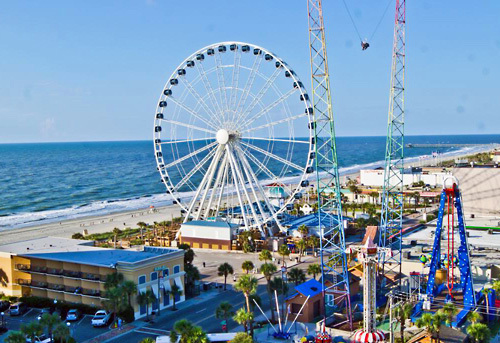 Only minutes from some of the most exciting attractions on Myrtle Beach, you will find excitement is just around the corner. 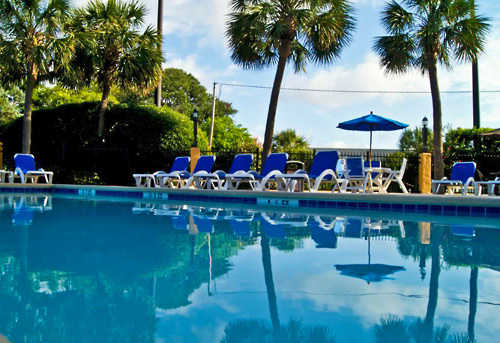 Guests will quickly discover many conveniences are in store for them at The Aqua Beach Inn. Head to the heated outdoor swimming pool and feel the soothing waters surround your body. Walk to the beach and enjoy the sand between your toes. If you prefer, you can also stay in and relax on your private balcony and enjoy a view of the Atlantic. Prepare a nice, home cooked meal in your fully equipped kitchen. Complete with a refrigerator, microwave, stove and sink, you will find all you need to prepare a delicious meal. Also, dont forget to pick up a drink, snack, or memento at the onsite Market. These great accommodations and more await all guests of the Aqua Beach Inn. Guests must be 25 years of age to check-in to this hotel. Resort fee will be collected upon check-in.